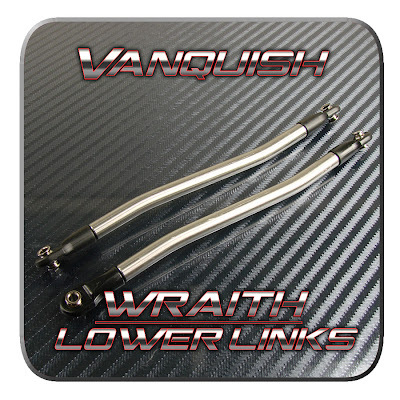 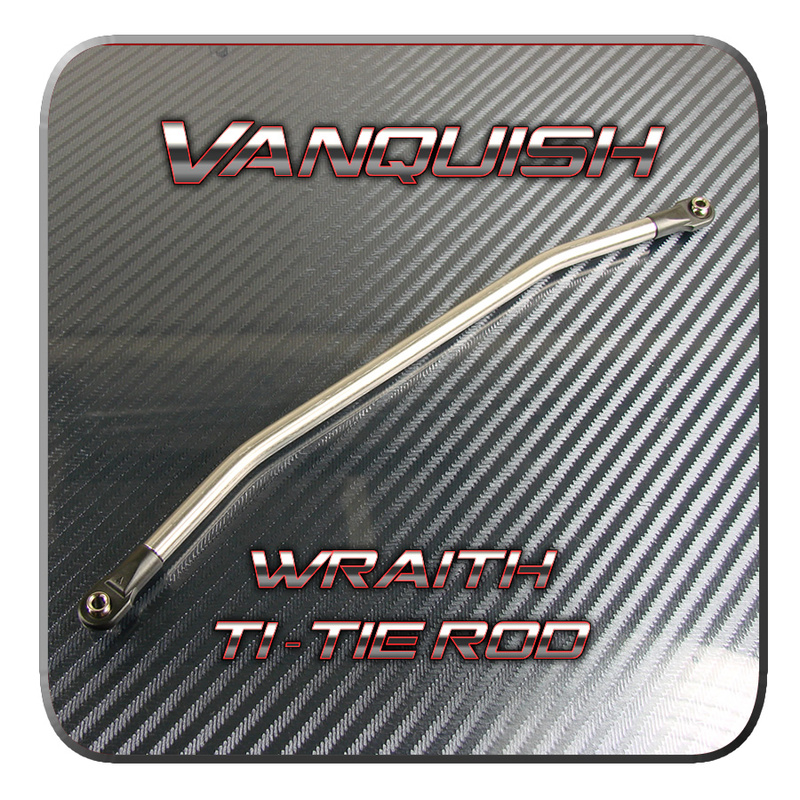 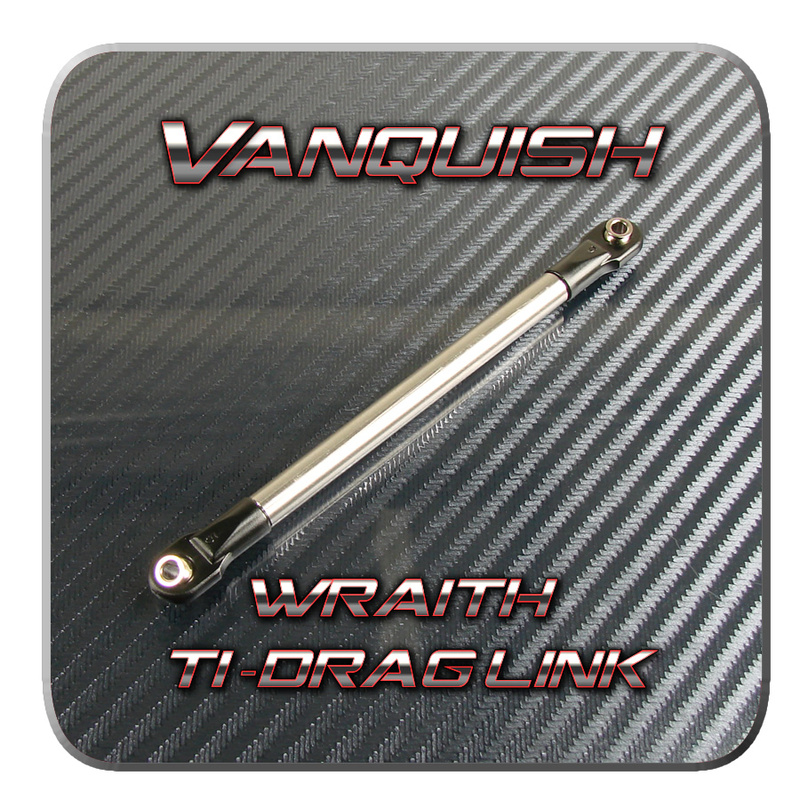 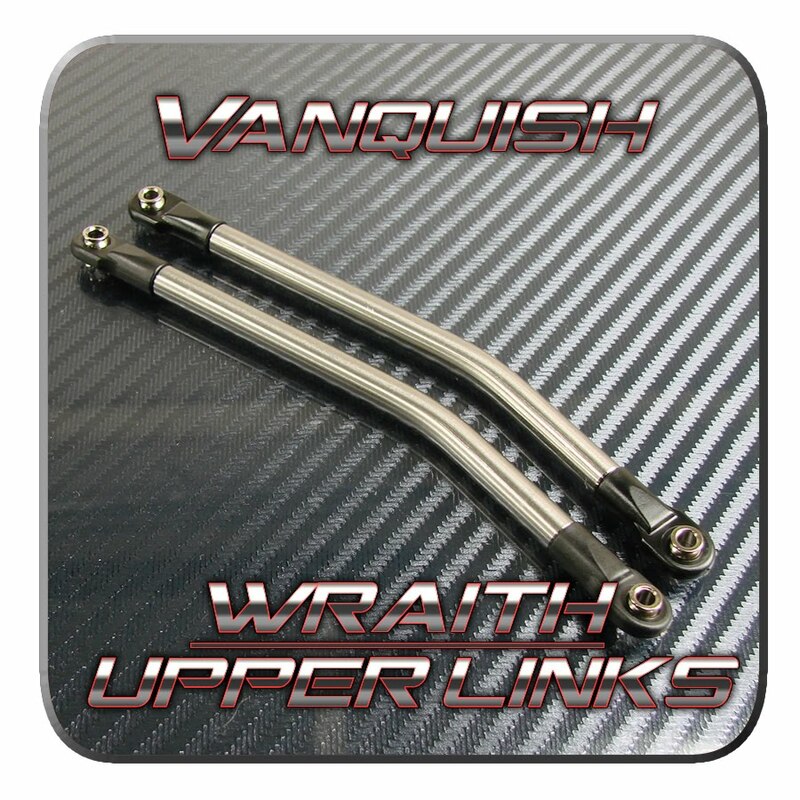 Vanquish Products has new titanium links and tie rods for the Axial Wraith. 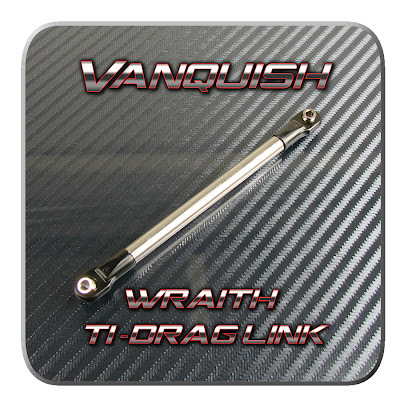 The titanium drag link (VPS03100) and tie rod (VPS03110) provide precise steering because they do not bend. The stock plastic tend to bend a lot which causes inconsistent steering. 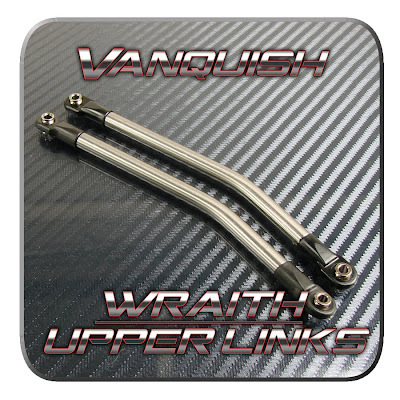 The upper (VPS03121) and lower (VPS03120) links provide a stronger and smoother surface for the Wraith to crawl over rocks.